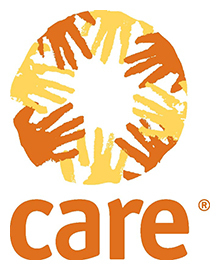 CARE International is a leading global development and humanitarian organization. In 2014, CARE worked in 90 countries around the world, supporting 880 poverty-fighting development and humanitarian aid projects, reaching more than 72 million people. CARE International in Uganda (CARE) works with others to make a sustainable improvement in the lives of the very poor, with a focus on women and girls. Our current program focusses on women and girls’ economic rights, particularly financial inclusion and governance of natural resources women and girls depend upon, and on their sexual and reproductive health rights, including a life free of violence. Our programming is guided by our core values of excellence, accountability, respect, integrity and transparency. Assess, facilitate and strengthen the capacity of partners, other stakeholders on gender transformative approach in accordance to Care international standards. Liaise with L4C (Learning for Change) Technical Team and other CARE projects working with the same partners. Ensure that other NUWEP projects benefit from the capacity development of CARE staff and partners in gender transformative-led thematic approaches that benefit the overall impact populations of NUWEP. Establish and implement a plan for information dissemination for the NUWEP Impact groups on SGBV. Support L4C partners to integrate Women Leadership, Psychosocial Support, Advocacy and Engaging Men and Boys in other ongoing programmes. Liaise with other CARE projects working with the same partners. Participate in the development and maintenance of an effective SGBV information (M & E) system. Participate in the continuous review of the M&E system with specific emphasis on providing support to organization development in the area of gender transformation. Work closely with the partners to ensure that they receive the relevant capacity support. Provide on-going support supervision and monitoring to implementing partners and community structures to ensure delivery of quality services and program quality. Identify, prepare and document L4C lessons learnt under the NUWEP Program implementation. Ensure effective coordination and network system at district, regional and national levels are operational, maintaining a high reputation. In collaboration with the implementing partners, coordinate, support and facilitate monthly, quarterly and sub county level discussions and coordination meetings. Represent CARE at the Districts, Regional and with other relevant sector working group meetings as required from time to time. Establish and maintain cordial and professional relations with local partners and collaborators including district officials. At least 3-5 years of hands on professional experience in community development, including experience and knowledge of working within a Post Conflict Recovery and development background. Experience working with large teams with multiple deliverables. Strong inter-personal communication skills; sound judgment and decision making skills. Ability to network, build relationships and establish collaboration with different partners, agencies local and international networks.